1. A new audit strongly criticizes the California Public Utilities Commission and concludes that it’s pipeline safety program has actually gotten worse since the 2010 deadly blast in San Bruno, the Chron$ reports. The audit, commissioned by the CPUC, also concludes that the agency suffers from low morale because of the revelations that top CPUC officials had worked behind the scenes to help PG&E — one of the utilities that they’re supposed to regulate. 2. The US Forest Service has opened an investigation into Nestle corporation for bottling massive amounts of water from the San Bernardino National Forest under a permit that expired 25 years ago, the AP reports (via the CoCo Times$, h/t Rough & Tumble). The bottled water is sold under the brand Arrowhead 100 Percent Mountain Spring Water. 3. 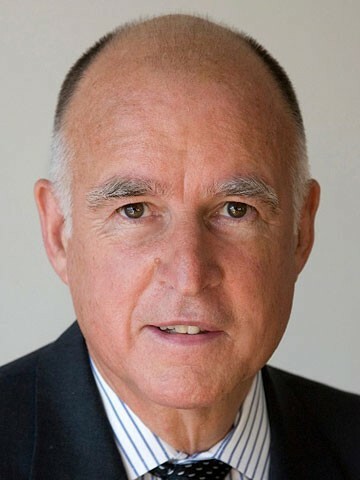 Governor Jerry Brown confirmed that he has abandoned his plan to restore delta habitat and will instead forge ahead only with his proposal to build two giant water tunnels underneath the delta, the Mercury News$ reports. The project had been viewed as a twin proposal — the tunnels and the habitat restoration. 4. State legislators are pushing forward with a plan to cap UC executive salaries at $500,000 a year, although the proposal likely will not affect many UC employees because much of their pay does not come from the state’s general fund, the Chron reports. 5. Rent control activists are pushing for rent control measures in communities throughout the Bay Area as rental prices continue to skyrocket, the Bay Area News Group$ reports. 6. An innocent bystander was killed during a police chase involving a speeding car in Richmond, the Chron$ reports. The car that police officers had chased slammed into another car, killing the front-seat passenger and seriously injuring another person. Also, an innocent bystander in San Francisco died during a high-speed police chase in the city. The two deaths have renewed questions about whether police chases are too unsafe. 7. And BART ridership has increased by 100,000 people a day in the last five years, as the transit system is becoming increasingly jammed with commuters, the Chron reports.